This item is listed as having a gold (mustard) colored accent band. Which is it? 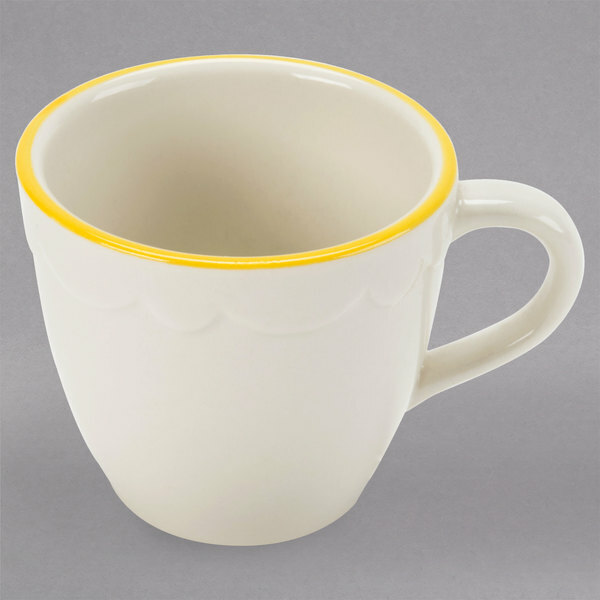 The gold band on this item is best described as the color of mustard or caramel. It is not metallic gold. This 3.5 oz. 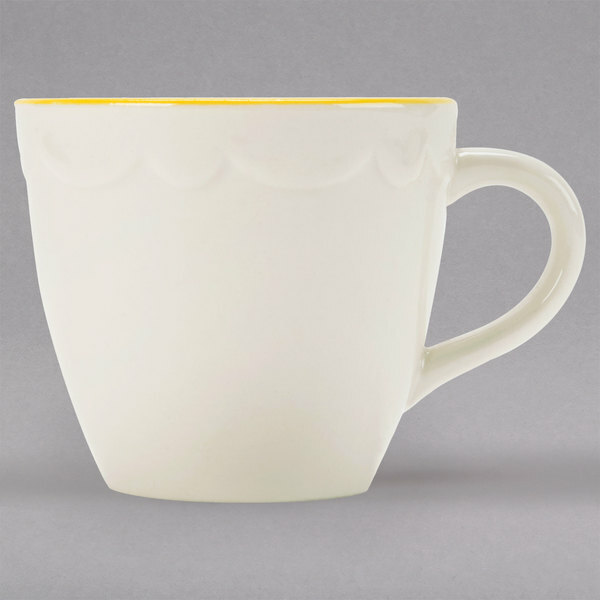 american white (ivory / eggshell) scalloped edge china demitasse cup features a gold (mustard) accent band. 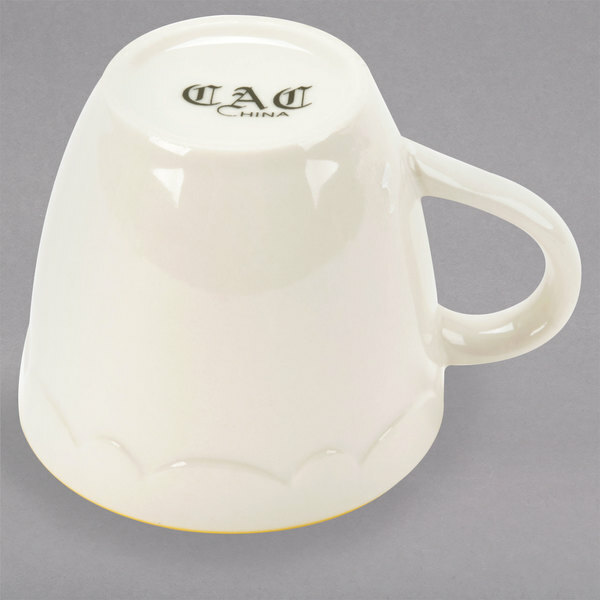 Ideal for cappuccino and espresso.